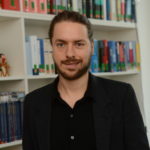 Felix Würkert is Research Assistant at the Chair for Public Law, especially Public International Law and European Law at Helmut-Schmidt-University in Hamburg and Ph.D. candidate at the Institute for Conflict Management at the European University Viadrina, Frankfurt (Oder). He studied Law at Bucerius Law School, Hamburg (2008-2014) and at Université Paris I Panthéon-Sorbonne (2010). Following his training as a mediator (2014) with the Deutsche Anwaltakademie, the educational arm of the German Bar Association, his Ph.D. focuses on legal normativity in peace mediation. It is especially concerned with how norms centered around the individual can help in dealing with past injustice in the aftermath of violent conflict. In 2017 he was visiting fellow at the Global South Unit for Mediation (GSUM) at the BRICS Policy Center of the Pontificia Universidade Catolica, Rio de Janero. In 2018 he attended the Summer Course at the Hague Academy of International Law. He is also one of the editors of the German public law blog juwiss.de and a member of the Member of the AG Junge UN-Forschung (Working Group UN-Studies) of the German Society of the United Nations.